Jersey Mike’s opens on 31st street in Temple with a fundraiser for McLane Children’s that was more than “Grand”. They generously invited community members in for a free sandwich in exchange for a 2$ donation made to McLane Children’s! This generous offer spanned five days! 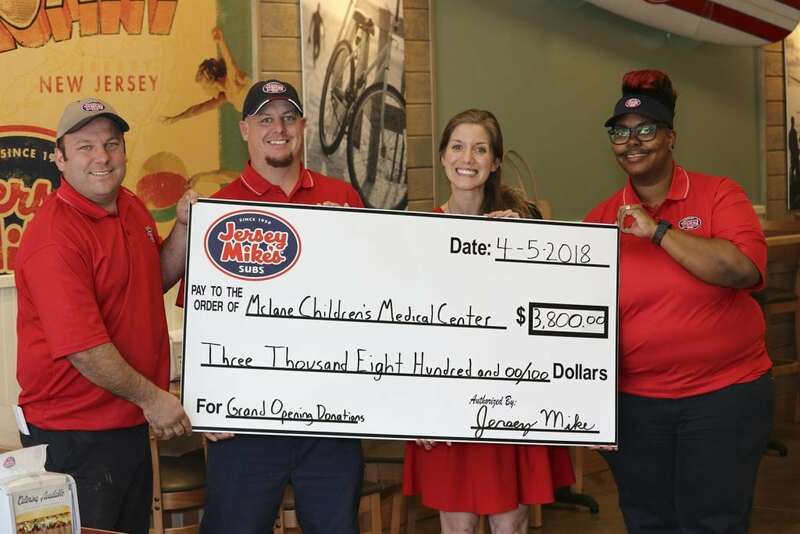 On April 5th the Jersey Mikes team presented McLane Children’s with a check for $3800.00! Thank you Jersey Mike’s for hosting this incredible fundraiser and thank you to every member of our community that came out to show their support. We couldn’t do what we do without you!